I cannot guarantee that everything I post in this is 100% fact, but please do understand that I am basing this mostly on what I have read in the forums, and my opinion of certain topics. I also may say things about Nexon, I am not intending to break the ToS by falsely claiming anything, I am merely trying to open people's eyes to some possibilities that I haven't seen considered in the forums. "NexonNA doesn't care about their players, just about their revenue." Basically I wanted to point out that the only way we can guarantee that this statement is true, would be by knowing every single detail about Nexon, and not a whole lot of people do, maybe like 5? There are things like how they fix bugs, their update notes, and how often they reply in the forums that could give us a basis, but none of these actually prove that they do "nothing for us players". Below are a couple of my feelings on claims I have read within these forums over the past couple months or so. Of course it does, anyone that thinks otherwise is not too much of a thinker. The reason why it takes a long time to get a response is because they are basically drowning in them. Not only that, but they have to inspect each one individually and make a decision on it that is appropriate according to their ToS. Even with a lot of employees sifting through the large amount of these, it is still going to take time. Plus, the more employees they have dealing with reports, the less they have to fix bugs that everyone complains about. Bugs: do they actually try to fix them? 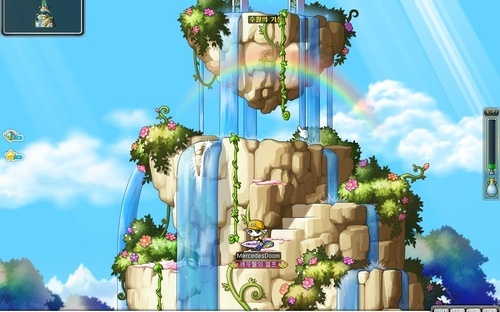 If they didn't fix bugs, there would be no Maplestory right now. The amount of bugs that come with a game this size could make anyone cry. They have to go through them, order them by priority, then move down the list from the top to the bottom. Remember, just because a bug totally screwed you over, that doesn't make it the highest priority, the ones that make the top of the list are the ones that will literally destroy the game itself, they can't always put the players first when something that threatens the game itself shows up. On top of that, they have to consider EVERY side of ALL the complaints they receive, which not only takes days for them to receive enough to make a decision on, but also take time to decide which one would be most beneficial for both YOU and that guy you don't even know x (6.023 x 10^23). (okay, there aren't that many players, but you get the point). Botters and AFK Attackers: what is with the banning???? I haven't experienced banning myself, so I am going off of what I have seen in the forums about how it has been working as of recent. Basically, I have read that when one of these ToS breaking players actually does get banned(No way! I thought you guys said that doesn't happen??? what's with this? ), they don't get permabanned when it seems like they should, and even when they do, they can appeal to reduce their ban to a measly week at most. Now this can be looked at in plenty of ways, but the way I see it is rather optimistic if I do say so myself. 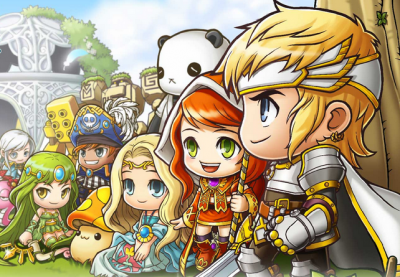 I see it like this: I feel that when someone breaks the ToS, they should receive a more "permanent" punishment that can't be changed, like the ToS itself, because lets be honest, if you break the ToS, you clearly don't have enough respect for Nexon or the Maple community to even deserve to play the game. Then again, when an honest player gets inappropriately banned, it would put blame on Nexon, so as of now, they isn't a guaranteed way to go about this and satisfy all the rule abiding players. 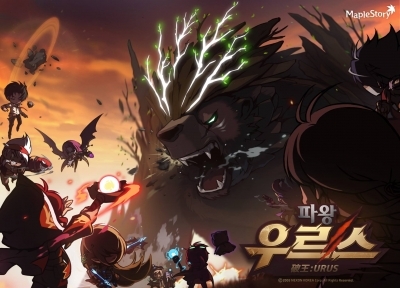 Forums: Nexon, will you even reply? If I was in charge of the Maplestory forums, I wouldn't want to reply to some of these posts either. Now I am not saying that is how they see it. If you think about it, its very similar, if not the same, as with reports. Its not as simple as reading and replying with "Of course we will do that!" or "Are you an idiot?" they not only have to read every single one of the replies, but they have to consider every view on it, predict how it will affect the community and the game, and if it will even work. After that, they also have to confirm how much time and money it will take and if the price is worth the benefit. After all this, then if the post is still even active, then they can reply with a definite answer, otherwise you're left with volenteers giving their own oppinions and telling you that it is being considered. 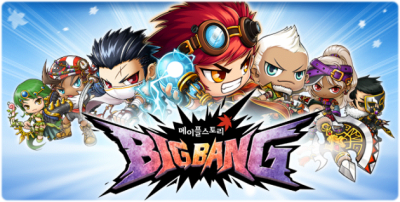 Nexon: Are you as greedy as they say? This one makes me shake my head and laugh at the stupidity in it. I mean seriously, the only way you can actually confirm this, is if you know how much they actually make, how much each and every employee is paid, how much they put back into the game, and how much they keep for themselves. After knowing all of that information to the exact penny can one actually make the claim that they are greedy. Yeah, they probably make a lot of money from all of the people that put 50% of their paycheck into the game, but nowhere in the ToS, nor anywhere else on their website, does it say that you need to pay thousands of dollar on this game to have fun. The only people that say that, are the people that want to hit max damage on flippin Hard Magnus. Yes, I can not argue that this game is pay to win in its current state, but the only way to fix that is to take all of the money that has ever been put into cubes, and put it straight into their pocket by taking away the potential system. Which would most definitely be a much worse idea than Japan's when they decided to attack Pearl Harbor, and you know how that went. 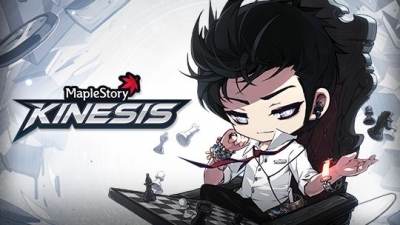 Nexon isn't the one that made this game pay to win, it was the communities thirst for a bigger challenge, Nexon did deliver, but I don't think they were planning on people emptying their pockets on cubes trying to "win" Maplestory. 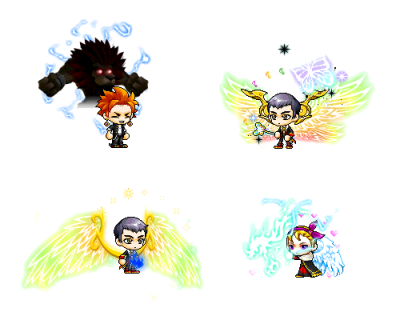 Seriously though, who ever said that the only way to win Maplestory was to be the best. This doesn't really fit the arguement, but I found it funny xD... Jarod Kintz said: “What does it mean to be the best? It means you have to be better than the number two guy. But what gratification is there in that? He's a loser—that’s why he's number two.” You aren't Ash Ketchum, so chill out! Too be honest, I don't really know what is up with these patch notes. I do, however find it quite obnoxious when they say one thing, but then the game doesn't do it. I personally think that they should pick up their game with that. In the ToS it does say that anything on the website is subject to change without warning, but to be honest, the things that have been going on aren't making Maplestory's players happy. The reason I typed this flippin novel was because I felt that these points should be brought up, and I'm also curious to hear if there are other sides to this. Feel free to coment on anything I said, and I will take it with my head held high, even if you make me look like a complete fool. I won't take anything personal, unless it is directed to me personal. Thank you for your consideration, especially if you took the time to read this! We currently have a community that actually defends botters, and to a lesser extent dupers, and I believe this is in most part due to Nexon's actions in the past. This means that if you clear the first 10 floors you get 210 points, if you clear the first 20 floors you get 400 points etc... You can only attempt Mu lung dojo 3 times per day. Most people in the guild will know me as rizadragnels brother and other gms or idiots will know me from riza's campaign when they thought he was me. but moving on to business i am here to share with everyone one new vid our alliance was working on as well as recruitment for dragontribe.